I have always been a bit of a dumpster diver, finding crazy cool treasures that others have thrown away. My wife is thankfully thankful for this unique skill of mine and quickly embraces most of what I bring home (except for that rug in Turkey). The town of Freeman has a self-recycling center where people bring their recyclables to drop off. This is a regular source of new magazines to read and on occasion, supplies craft supplies for the kids. A few months ago I glanced into the paper receptacle and saw a two inch stack of interesting looking paper. 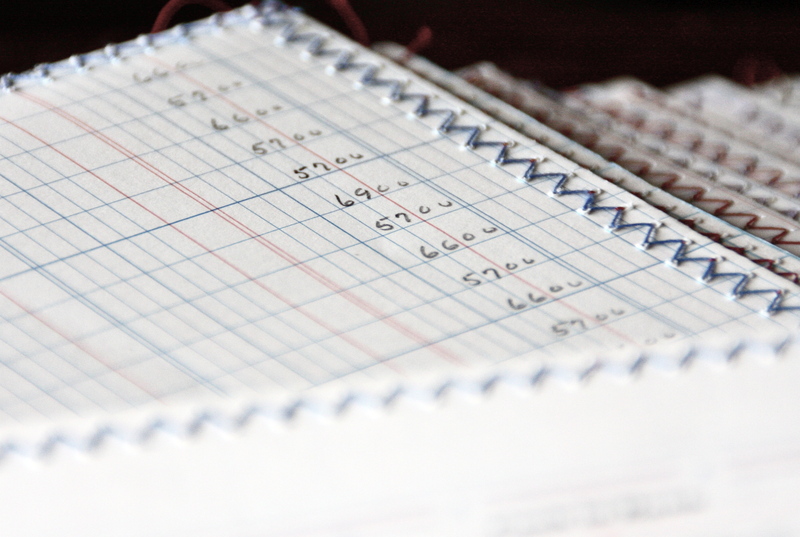 Each sheet was a bit longer and wider than an extra long legal pad of paper and there must have been three hundred sheets in the stack. Upon further inspection, this new treasure turned out to be an old ledger from a land lord in the small town of Scotland, South Dakota – 30 miles from Freeman. 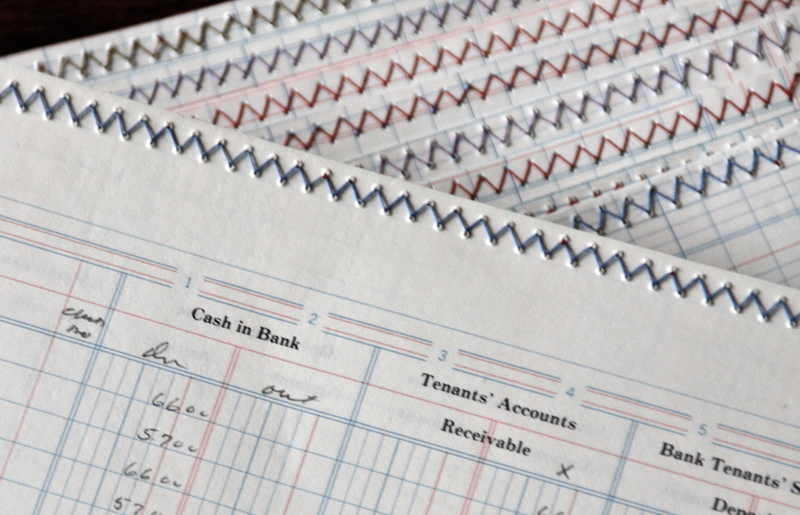 On it were the monthly accountings of rent paid in and bills paid out – from the 1960’s. Rent was around $60 per apartment! Last week as we put together an Etsy shop to sell my wife’s artisan envelopes and considered adding more to the collection, this paper came to her mind. 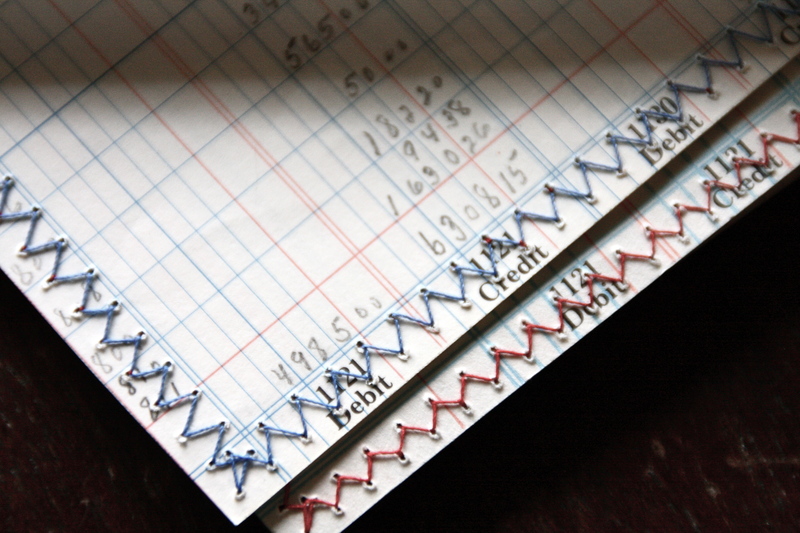 And so as of today, we now have two lines of artisan sewn envelopes and are adding to our cobbled together income stream. Like The Wildflower Series, The Ledger Series comes with eight envelopes and ten pieces of stationary and you can order them for $10 per set at the Cobbled Together Home Etsy shop. 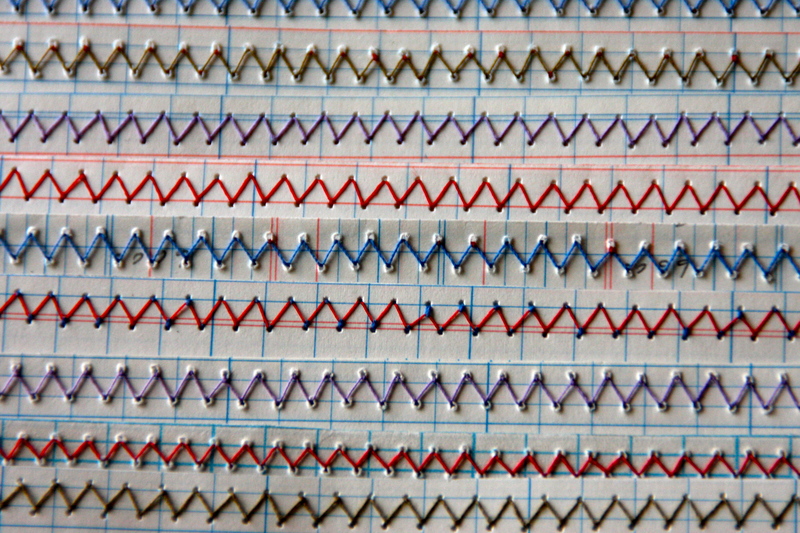 The Ledger Series of hand made envelopes. 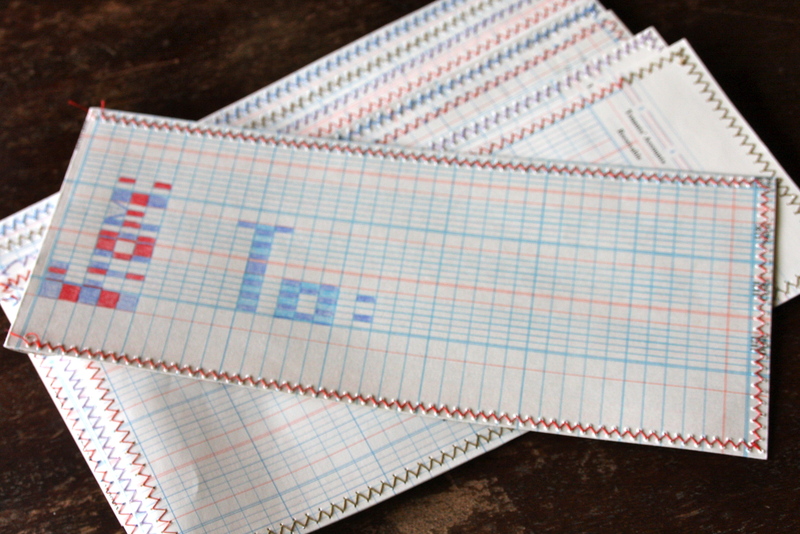 Perfect for sending a unique letter to an old friend or as a gift for your “type A” personality friends or family members. 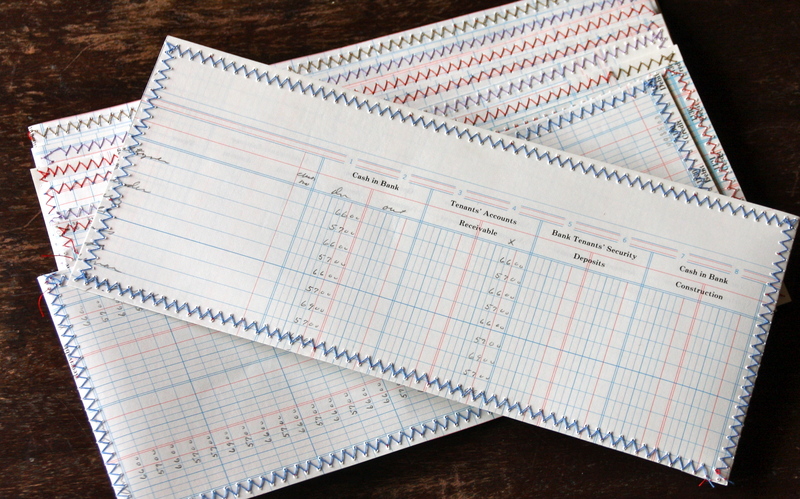 Each envelope is unique with it’s own bit of history recorded in numeric fashion across the lines of each ledger page. Each envelope is completely unique. What I wouldn’t do for $66.00 rent! 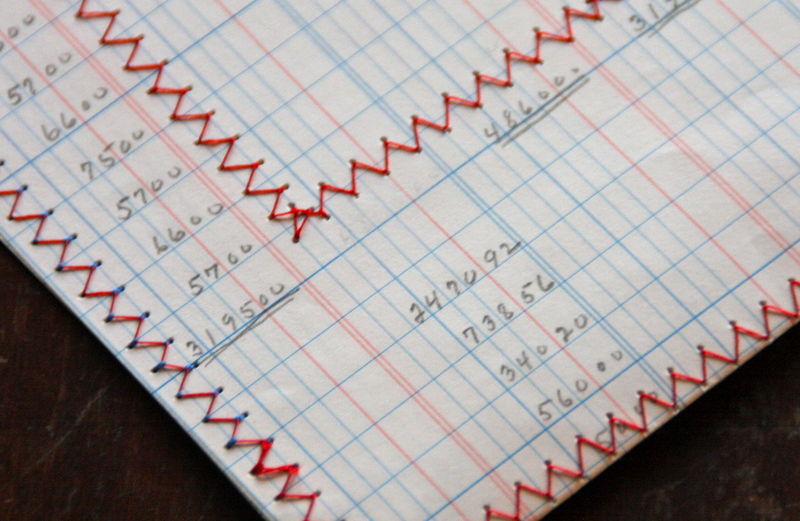 Use the ledger pattern to create your own patterns with colored pencils. Great idea! I have a feeling letter writing is going to make a come back.